You’ve written the CAT exam and are currently enduring month long wait for the result, fervently hoping you get into the right B-School. Sure, B-School is a fulfilling, if stressful journey, but you have a long two years on campus. 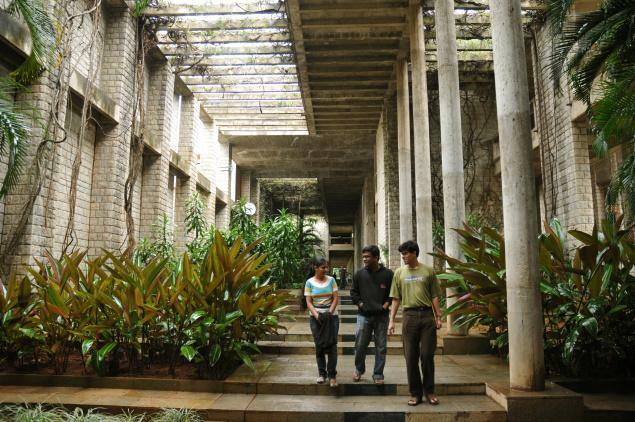 IIM Bangalore offers one of the top management programs in the country, and has a campus to match. IIM-B was established in 1973 in attempt to meet the growing demand of students of IIM Calcutta and IIM Ahmadabad. Since the first two IIMs were specifically catering to the needs of private sector, IIM-B was decided to focus on the needs of public sector. The Government of Karnataka offered 100 acres of land at free of cost for the establishment and was inaugurated by Indira Gandhi on October 28, 1973. The institution started operating in St. Joseph’s College of Commerce and some other buildings. In 1982 the new campus at Bannerghatta Road in South Bangalore started operating. 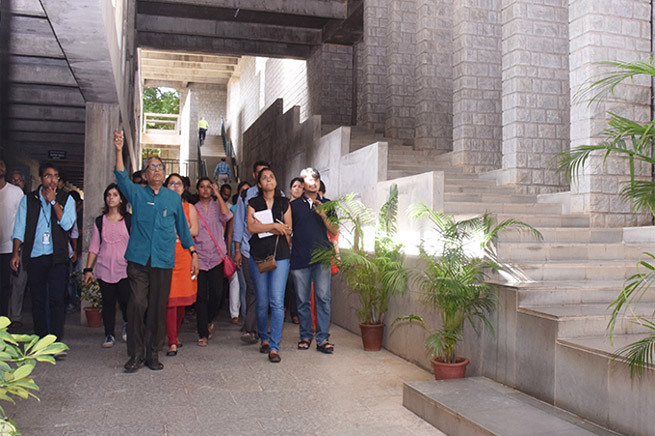 Renowned architect B.V Doshi designed the all-stone architecture of the IIM Bangalore campus, and based it on the design of Fatehpur Sikri built Akbar in the 16th Century. The campus is spread over a 100 acres. 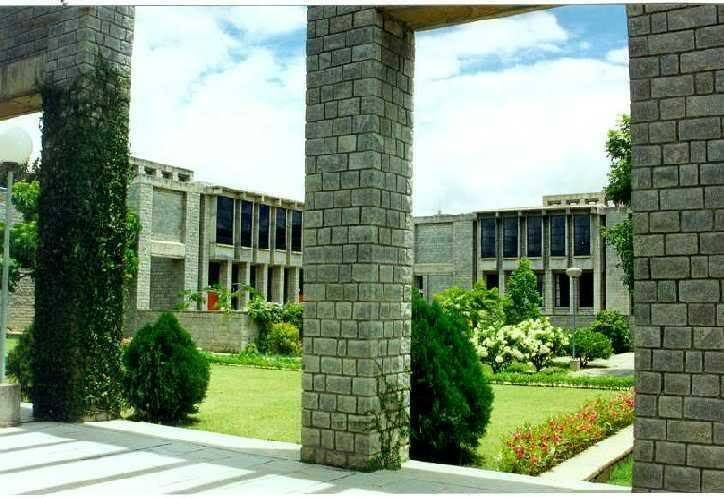 The original stone architecture of the institute is beautifully complemented by lush greenery. It has plenty of open space for students to study, or relax after a long tiring day. 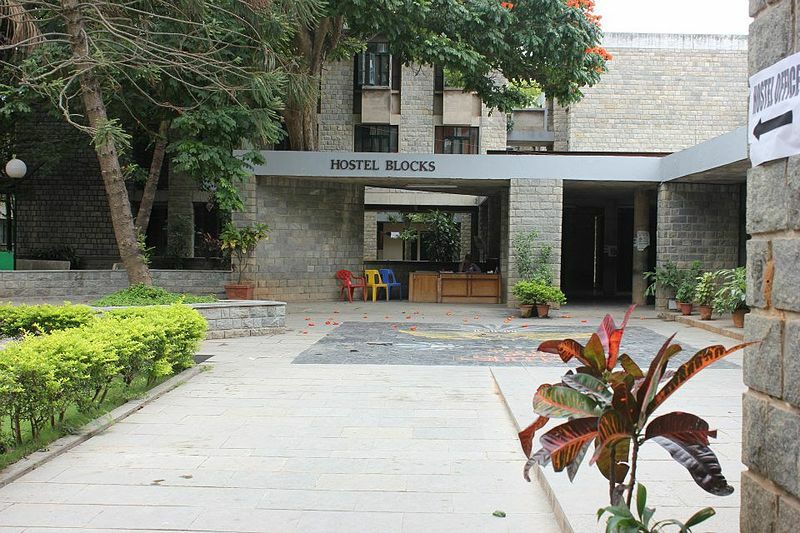 There are 10 hostel blocks on the campus, and students get 24 hours internet connectivity, washing machines, music rooms, recreation rooms, laundry and intercom facilities. The institute provides guest room facility for visitors as well. 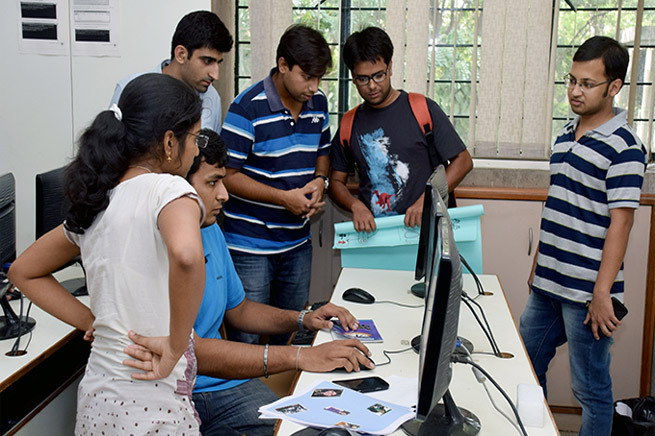 The campus is Wi-Fi enabled campus and has a computer centre that is open round the clock. Every hostel and computer centre has printing facility. A common ERP platform, highly resourceful intranet and internet messenger are available to the students. IIM-B is one of the few campuses that use Moodle learning management system. The institute’s library is regularly updated and has the stock students would need. It also lets students access useful online databases such as Bloomberg. 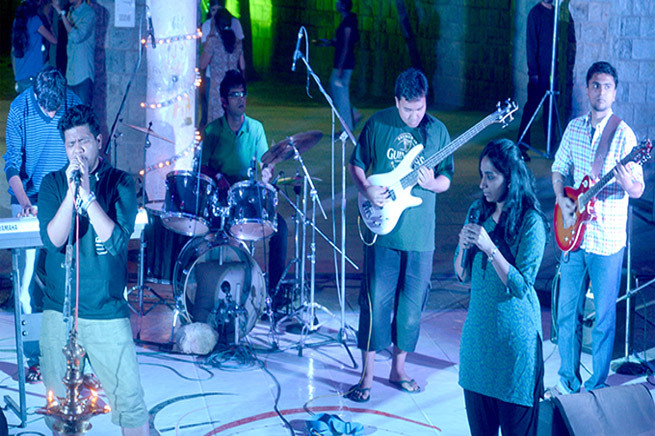 IIM Bangalore also takes fun seriously. Its music room has acoustics, electric guitars, bass, amps and a Tama drum-kit for the students. 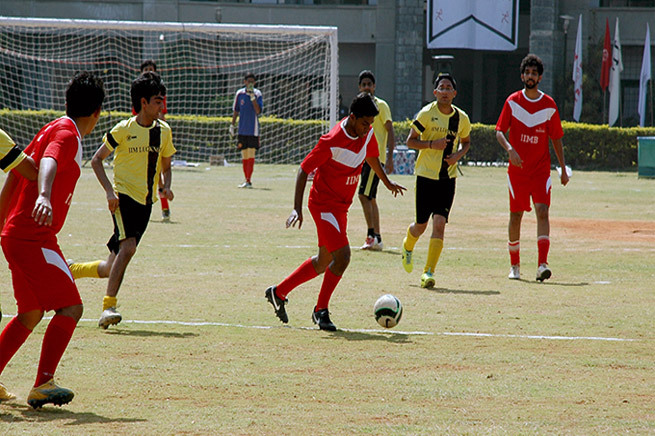 The IIM Bangalore campus also has an impressive sporting infrastructure. There are facilities for soccer, cricket, tennis, basketball, volley ball, throwball, badminton, and indoor games. The campus gym is open all week long, and a new sports complex with swimming pool is on the way. And part from the hostel food, there are nine eateries available on the campus. Park n Eat, Amul, Athica’s and Au Bon Pain all provide hungry students a plethora of eating options.